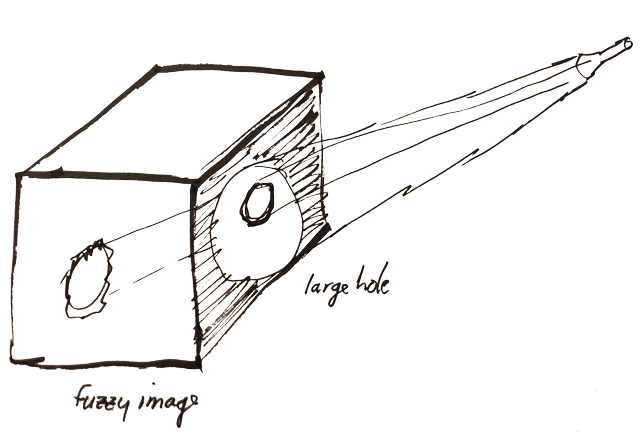 Pinhole cameras are the embodiment of the simplest form of photography – they are nothing more than a box with a small hole on one end and film at the other, yet they are capable of amazing images. 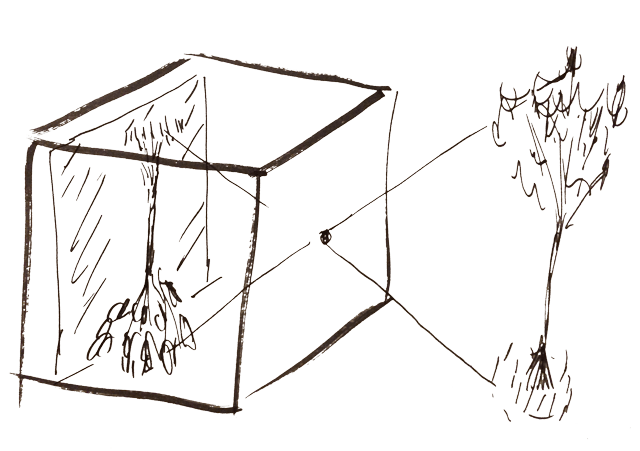 To understand how they work, imagine you are standing outside the box with the film in it and shining a flashlight on the pinhole. Only a small portion of the beam will get in and illuminate the film in a straight line through the pinhole (you can understand from this diagram why images through a lens are upside down). Now imagine walking all around the box, turning the light off and on, until you have “painted” an image onto the film. 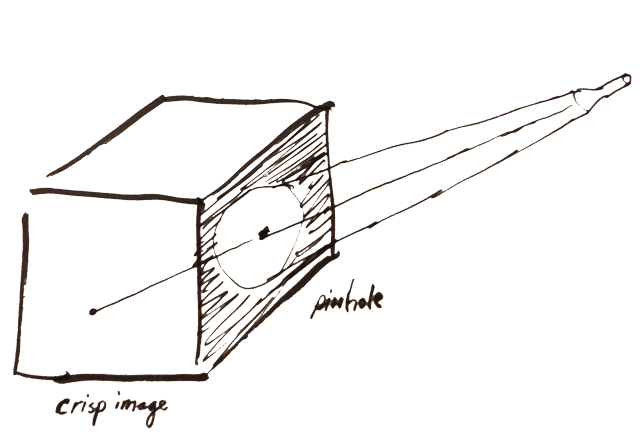 This is how a pinhole camera works – the light reflected off the scene you are photographing is like the flashlight, only all angles at the same time, and you have the full image of the scene on the film. Well, no, you can see why it won’t work well. The image will be a lot fuzzier and larger, overlapping with adjacent “beams” of light. As it turns out, there is an “optimal” size for a pinhole, that will result in the sharpest possible image. Too large, and you get what I described above. Too small, and you start getting diffraction effects, plus it takes forever. There’s some math that goes into all this, but you have the basic idea now. Lenses were developed to sharpen the focus and bring more light in, enabling very fast picture taking. 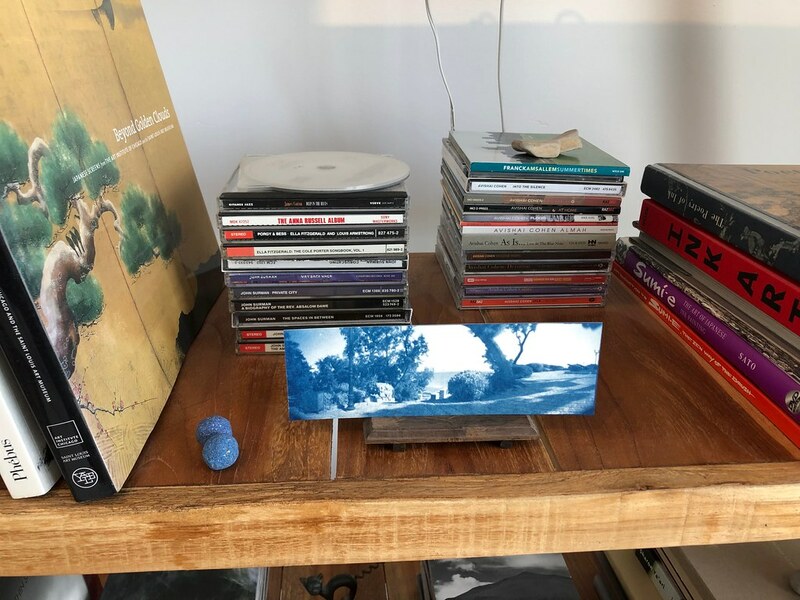 Then digital photography came along and swept out film, being vastly more convenient and instantaneous – expressing the impatient nature of the Internet age. Think about it – when was the last time you remember thinking about the picture you were going to take and examining the scene and angles before you took the picture? Do you remember when and where and how you composed that picture? Or did you just hold your finger on the button – bam bam bam ? 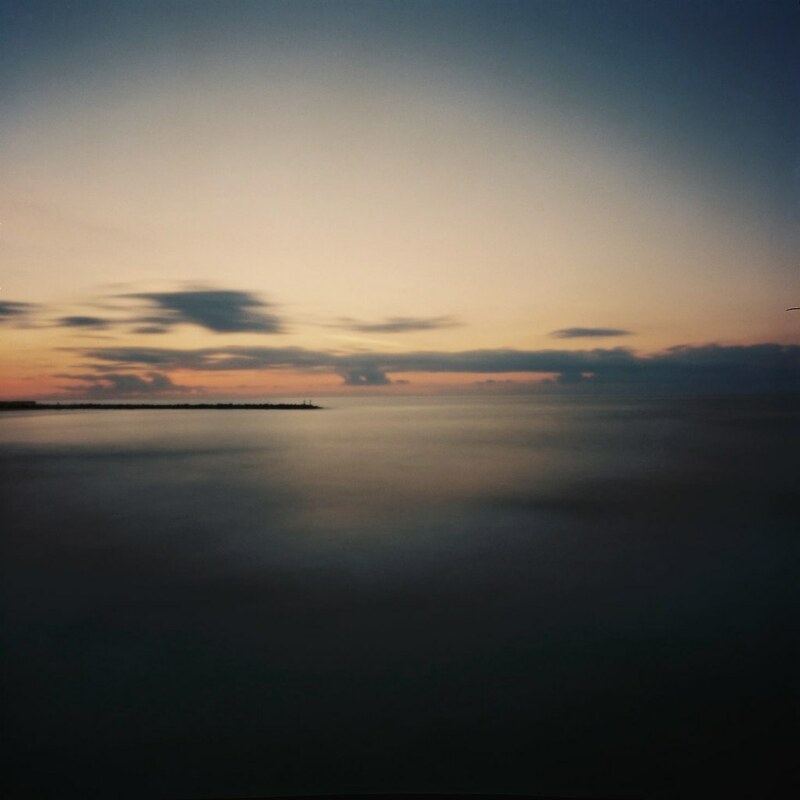 With pinhole photography and film, you are slowing time down and re-experiencing the magic and wonder of taking a picture and wondering what would come of it. Very often, particularly with pinhole photography, you get the unexpected. Professional photographers worry a lot about bokeh, which is the blur, or the aesthetic qualities of the blur, in the out of focus areas in a photograph. With a pinhole, you don’t have bokeh. Essentially everything in front of the camera is equally focused because of the very small aperture of a pinhole. You have to think about the scene and what is immediately in front of the pinhole, as well as what is way back in the background. This image, taken with a Flyer 6×6, illustrates the point. At the same time, you could argue the whole picture has a bit of bokeh – a pinhole is not perfectly focused. 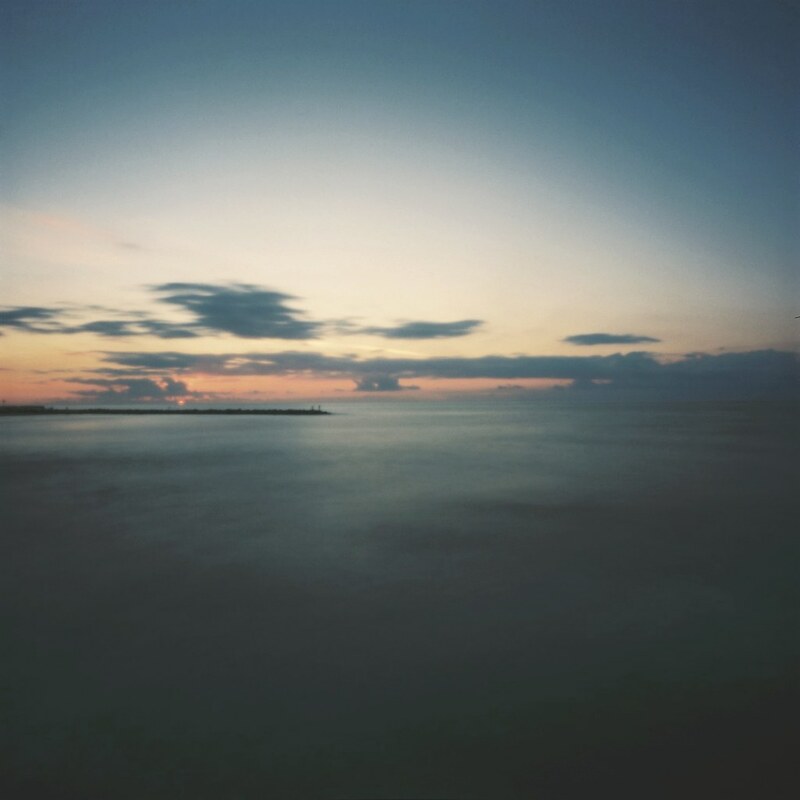 There is a pleasing softness to pinhole photographs. One thing is for sure. In coming back to film and pinhole photography, you are returning to basic photography, where you need to think about the picture you are going to take and how it will look on the film, because there is no bam-bam-bam button. In fact, you will often be waiting minutes to complete your photograph, and you may be surprised by the result. It’s magic.